LM3’s experience and mastering of various testing technology has been the hallmark of its achievement in the automobile industry. Currently on its fifth generation of function tester, LM3 combines the facility of a reduced yet durable hardware system with the flexibility and adaptability of its generalized test sequencer capable of both Delphi PODS calibration and end of line function testing. See our software products offerings for a more detailed review of our products and solutions. 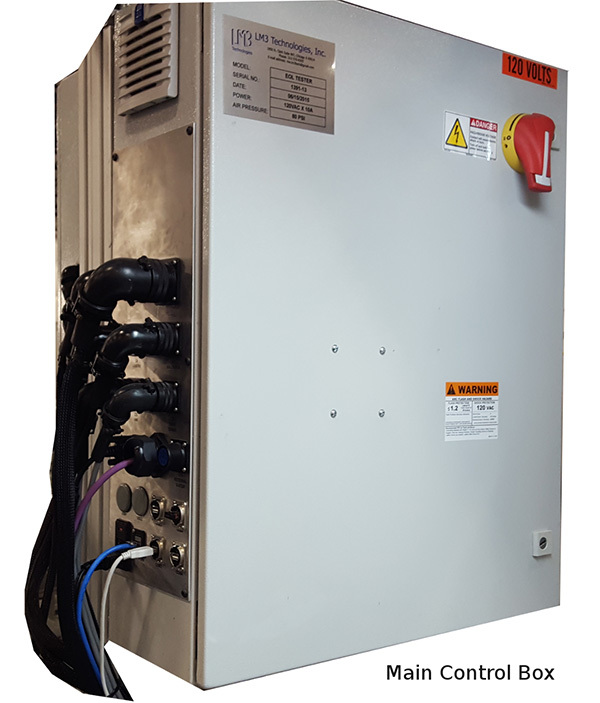 Through years of innovation and expertise, LM3’s current model of function tester panels utilizes the efficiency of a reduced footprint and improved modularity while keeping the controls in a standard control box in order to greatly facilitate maintenance. 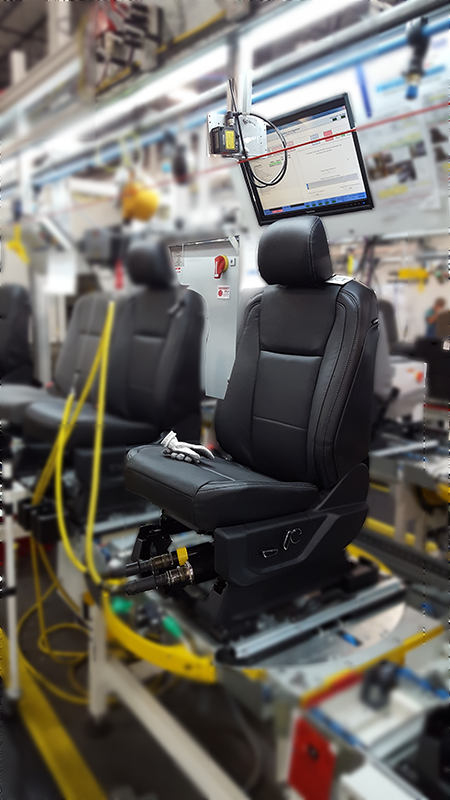 The current version, its fifth iteration, possesses hardware capable of advanced end of line function testing, as well as Delphi PODS calibration all on a unified platform. This current version also provides two software options: LM3’s legacy Labview seat function or PODS testing software and our more flexible end of line testing sequencer. 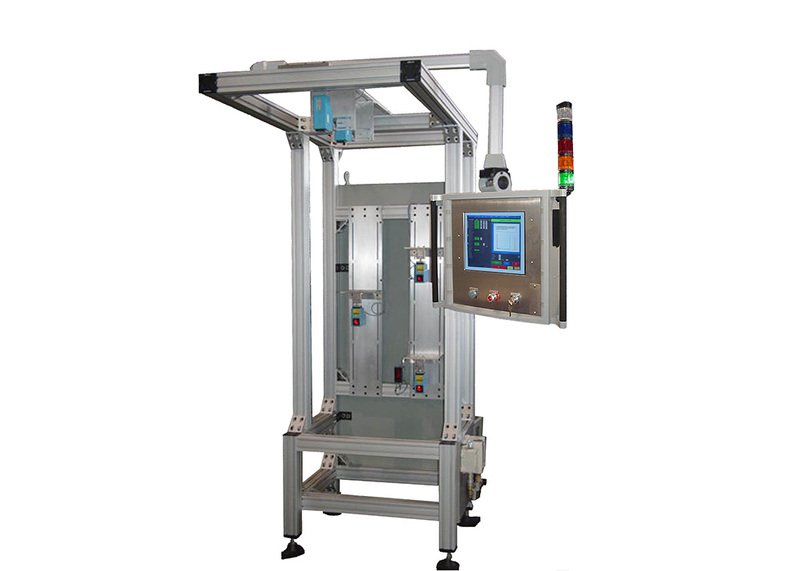 The reduced size of LM3’s current function tester hardware allows for simple mounting on the overhead structure of conveyor lines to eliminate the necessity for additional storage and/or production space to house the tester. The newest version of LM3’s function tester works seamlessly with continuous or stop and go conveyor lines. Main controls and breakout boxes measure at a minimal size of 760x600mm, combining efficiency with performance. LM3 has also developed a custom circuit board for squib based air bag testing, as well as custom circuit boards for signal conditioning, emulation, and multiplexing. The custom circuit board is currently on its third generation, which includes other integrated circuits for testing common devices for car seat manufacturing. Main controls housed in a Rittal 760x600mm box at an overall weight of 75lbs. 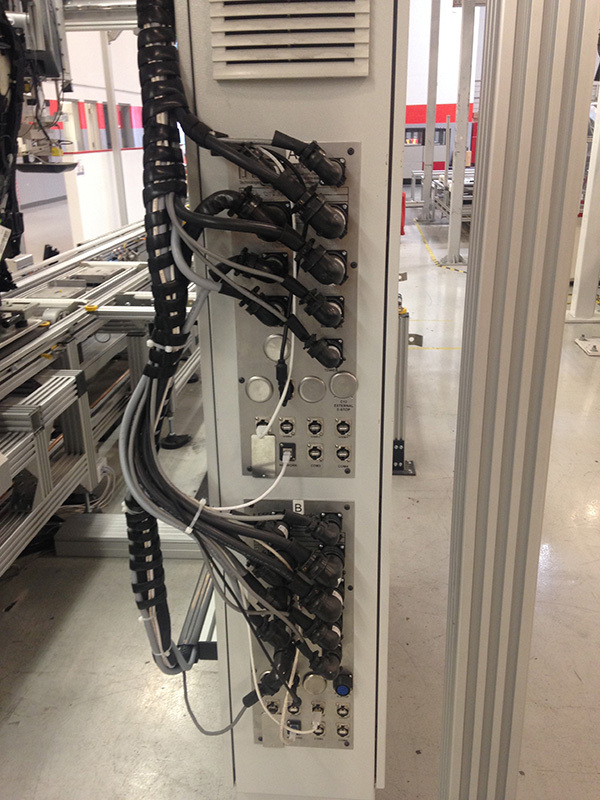 LM3 is also working on a 19” rack mount design of its main controls system. Data acquisition device NI cDAQ by default but PLC controllers such as Rockwell’s Contrologix or Siemens S7 can be implemented instead. Online/offline component or full assembly production and lab based testing. Electrical testing for proof of functionality. 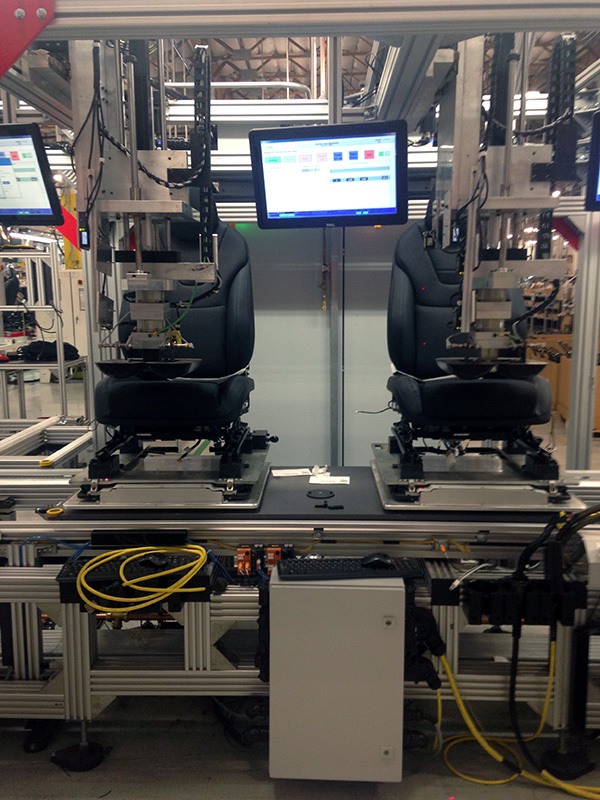 Force testing to determining effort to actuate adjusters including but not limited to track, recliners, and head rests. Pneumatic leak (pressure decay) and flow based testing. Power adjuster positioning and functionality testers. 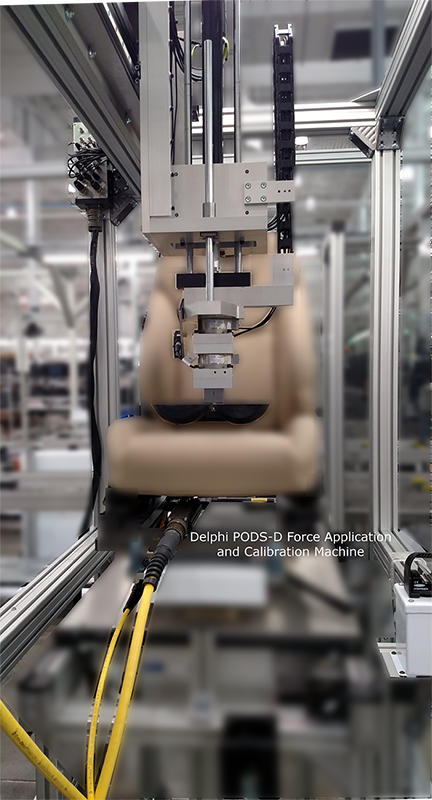 WDM (weight drop machine) for non-Delphi based OCS (occupant classification systems) . Vision systems for part presence and conformity testing. Hand held poka yoke tools which integrate with our standard testing software without the need for additional coding or directly with your conveyor controller.